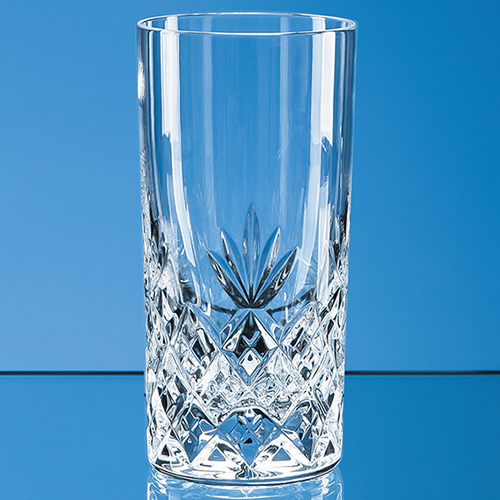 This beautifully presented lead crystal cut Blenheim high ball glass with a classic diamond and wedge cut pattern will bring an air of glamour and classic elegance to any home. It is the perfect gift for any occasion from business gift to birthday, wedding, engagement or retirement  the choice is entirely yours. Available as an option is a luxurious blue satin lined presentation box.